Paris, November 14th 2017 – Altaïr, supported by Funds advised by Motion Equity Partners since April 2016, is one of the leading manufacturers and marketers of home care and cleaning products in France. Based in Wasquehal near Lille, Altaïr Group is a manufacturer and marketer of home care and cleaning products and insecticides distributed through specialized channels (DIY stores, drugstores, garden stores, etc.). The Group’s offer, which counts more than 1,000 SKUs and a turnover exceeding 70 million euros, is built around three brands, which are leaders in their segment: Starwax, Kapo and Sinto. The Group has two production sites in France, in Noyelles-lès-Seclin near Lille and in Aubagne. 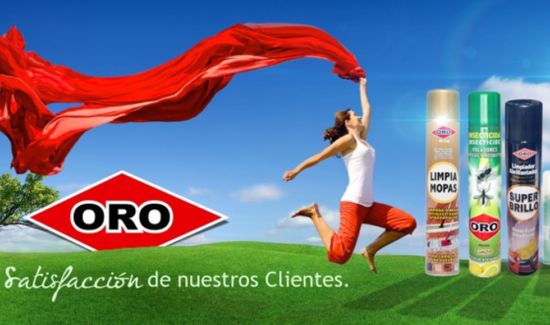 Founded in 1955 and based in Valencia, Spain, Quimicas Oro is a Spanish company specialized in the production and distribution of insecticides, detergents and cleaning products, under its “ORO” brand. A regional leader in Iberia, where it generates c.60% of its sales, Quimicas Oro’s products are distributed in national and regional chains and traditional drugstores in the region. The Company is also present in Northern and Western Africa, with total Exports representing 40% of sales. Quimicas Oro employs approximately 100 staff and generates a turnover of over 40 million euros. This new external growth operation follows the acquisition of Enteco, the historical distributor of Altaïr in Belgium (2 million euros turnover), completed in February this year. With the acquisition of the Spanish group Quimicas Oro, which closed on November 10th, 2017, Altaïr significantly reinforces its activities to become a European leader in household products and insecticides with around 110 million euros of cumulated sales for around 370 employees. “This strategic operation is a major step in the development of the Altaïr Group. Quimicas Oro is a strong business very complementary to ours, both from a commercial and an industrial point of view. Many positive synergies are expected and I am convinced that this consolidation will strengthen the two groups, which have a lot to learn from one another. We are very excited to work even more closely with Quimicas Oro’s team on this promising growth project”, said Jean-Pierre Dano, President of Altaïr. “The acquisition of Quimicas Oro is a key step for Altaïr since it is its first transformative acquisition, and the first out of France. It is the result of intensive work alongside Altaïr’s Management team on the M&A front since we first invested a year and a half ago in Altaïr, and of almost a year of discussions with the shareholding family of Quimicas Oro, for which the relevance of the industrial project offered was key”, states Patrick Eisenchteter, Managing Partner at Motion Equity Partners.